Happy New Year lovelies! 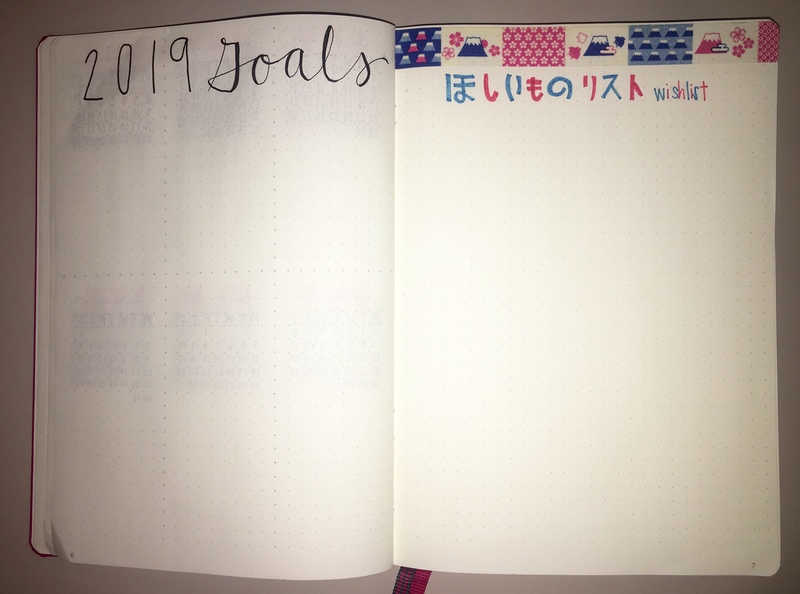 I can finally share with you all my new spreads for this year! So, my outlook for 2019? Well if you’ve been following me for a while, you would probably predict that it’s books and gardening! 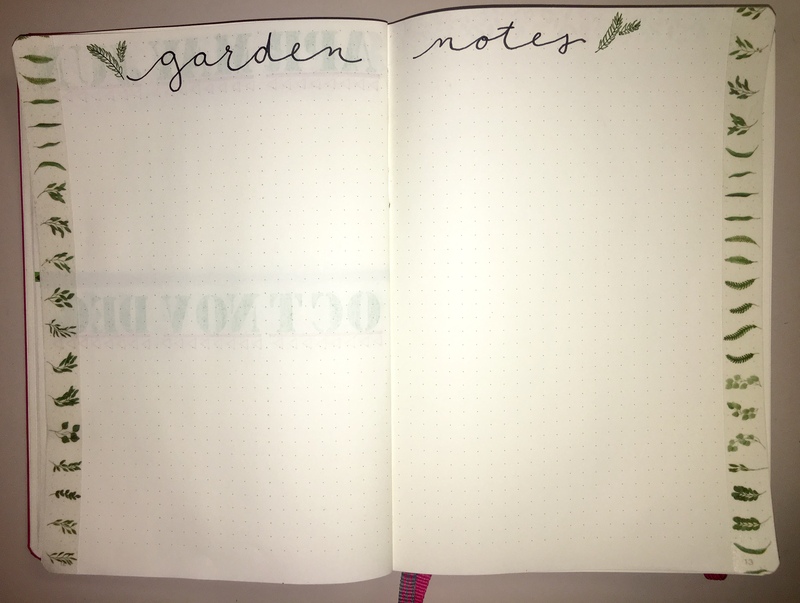 I have quite a few spreads this year that will assist with some manual tracking for the blog and all my reading, as well as some new additions for tracking all my gardening. It’s important for me to be able to visual separate things as a whole. I love being able to go back and see my goals & wishlist together, as well as easily see any important birthdays coming up. Here are my dedicated gardening pages. 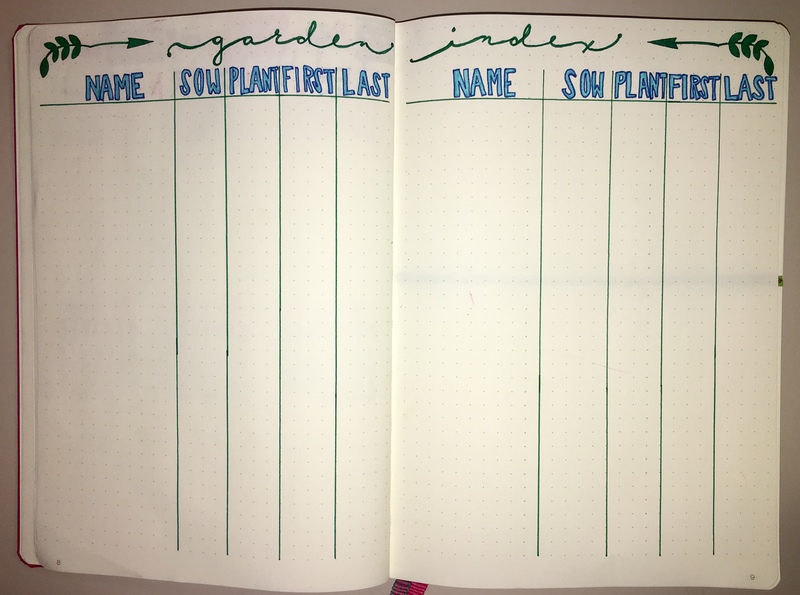 The first is to keep track of the varieties that I plant, and yes, I plant quite a bit so it’s hard to keep track of what I like and don’t like of each type. This index page will be helping me keep track of when I planted and when I had my first yielded harvest. In the last column I plan on keeping track of how much total harvest I receive to determine if a different variety should be considered. 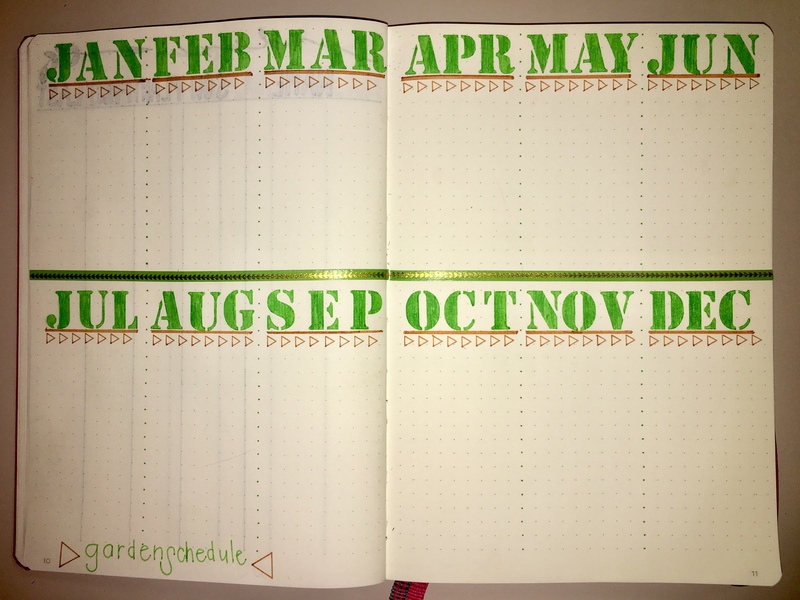 The year spread is to help keep track of what tasks need to be done in the garden. I know you’re thinking gee, what does she have to do in January for a garden. There’s actually a lot of prep work that goes into it, and one of my biggest tasks coming up is ordering all my seeds and supplies for the year. That’s just the beginning. The notes page is simply that, a place I can keep track of things I should remember to do later in the year or work on for the following year. 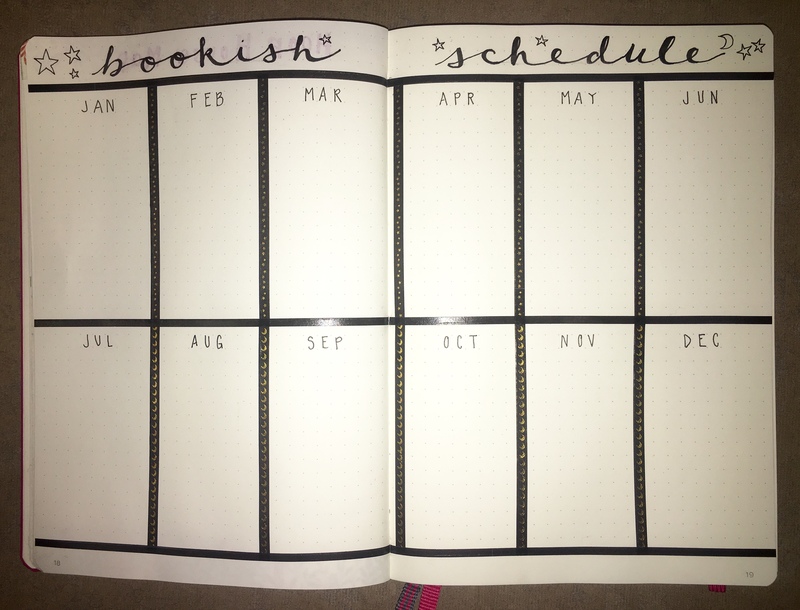 So many times last year I couldn’t remember which books were set to read each month and there were a few times where I agreed to too many buddy reads and it became all a little overwhelming. 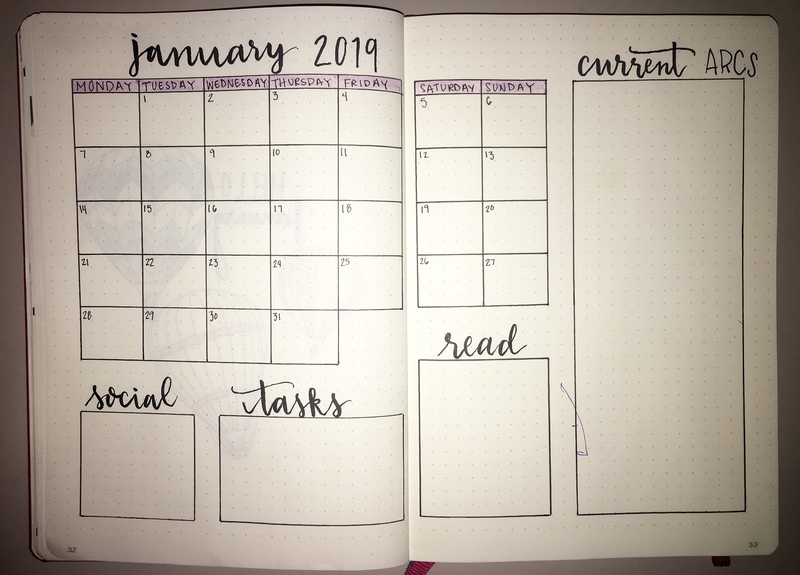 So I made a separate future log dedicated to planning out my reading. This isn’t just for my buddy reads as I can fill in the year in anticipation of what I will be reading based on release dates as well. I think this will also allow me to future plan when I will be reading ARC’s as I request and receive them. I feel like this spreadsheet might help me a lot as I can also at a glance see if I am getting too heavy in fantasy and can plan accordingly in advance by throwing in a contemporary or thriller or whatever. 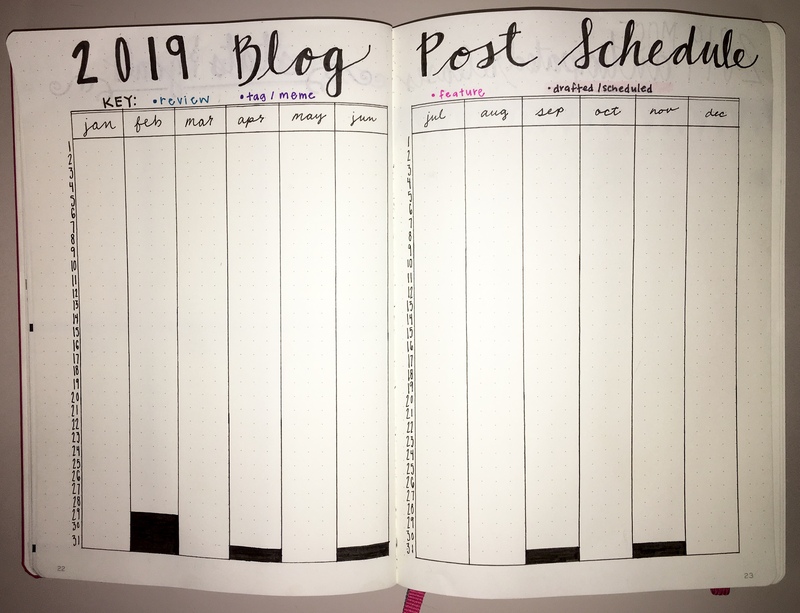 And of course just a page just to see my growth here as well as keep track of blog specific goals. Not seen are pages specifically to list out all my books read and what I rated them. 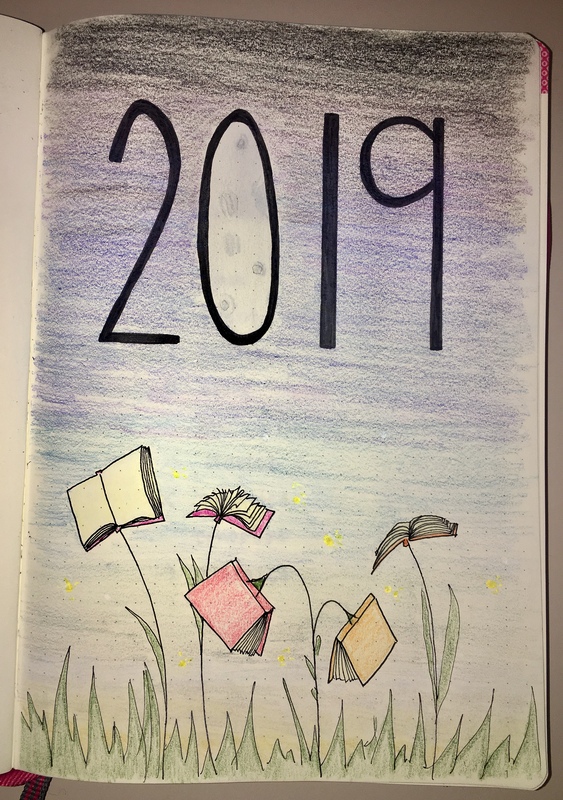 It wasn’t really impressive as it just says “Books Read in 2019” with enough pages dedicated to fit about 125, which should be a realistic amount of space for my volume. Fun fact: I love looking at hot air balloons, but there’s no way I would willingly get in one for a ride. No thank you. 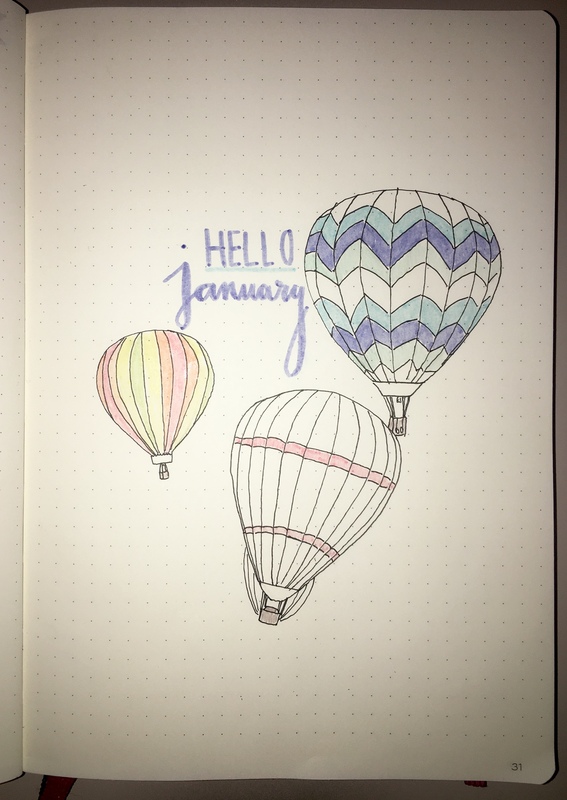 I used my Pilot Frixon erasable markers to do a little coloring that came off a little watercolor-y without the act of putting water to my pages. 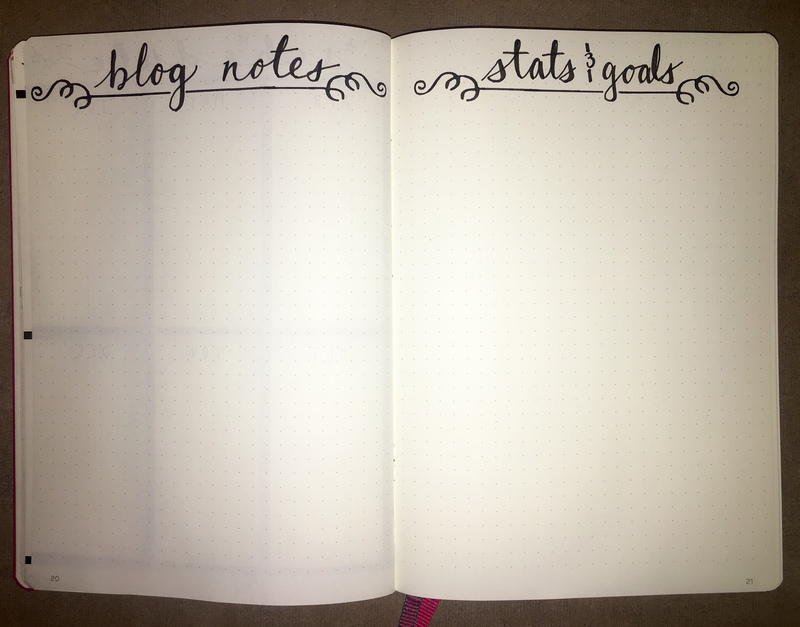 I’ve never done this and am honestly afraid that my pages would get crazy crinkly. 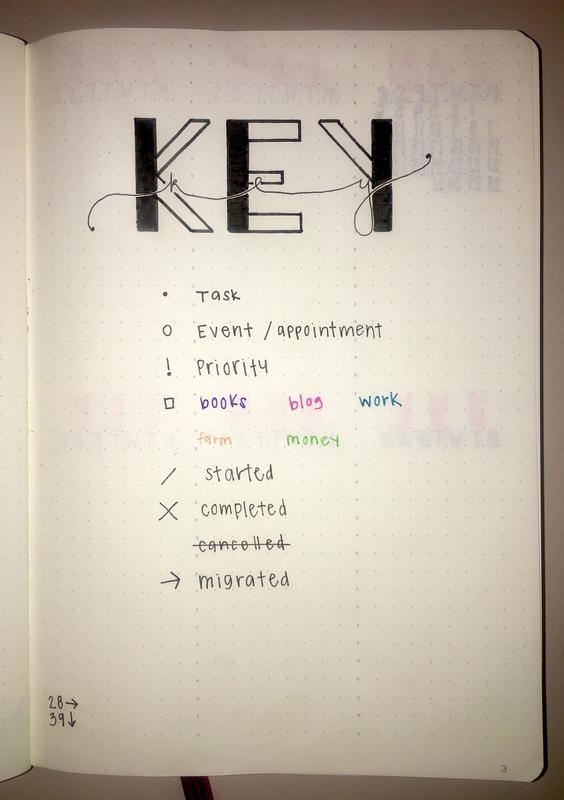 I kept with a pretty basic spread without any habit trackers, and that’s just because I tend to not use them, so I didn’t want to put it there just to fill in space. 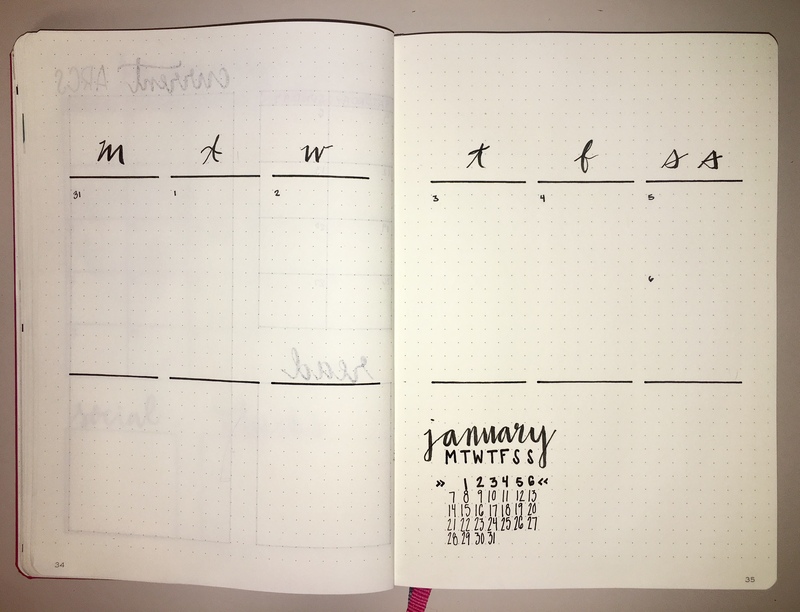 Keeping this first week pretty clean, but that’s just because I am on vacation from work and just wanted a pretty chill week. 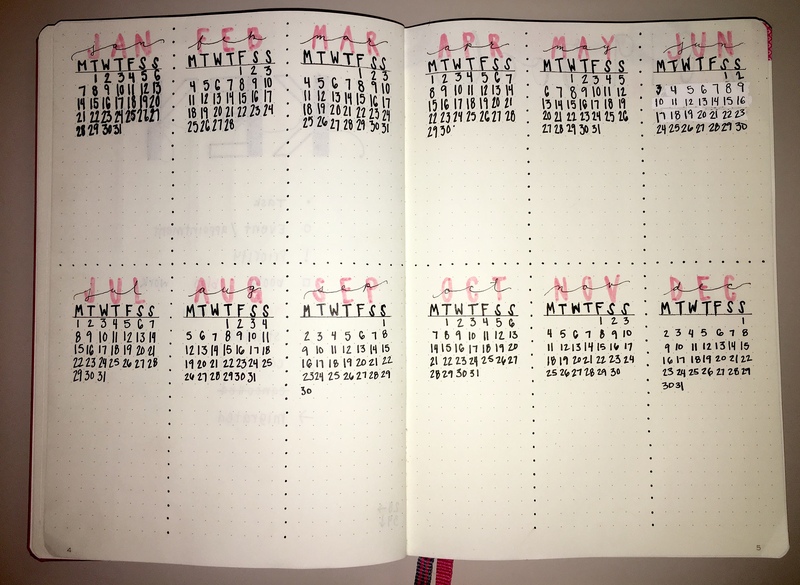 I know, it seems pretty counter intuitive to have a spread for sitting around the house, but I mean, I still want to list out what I am going to do. I promise next week will be more exciting. This year I am changing my layout from Sunday-Saturday to Monday-Sunday, and that is simply because my schedule at work has changed a little so it’s easier for me to visually see it this way. I want to do one this summer! Yes! Do it! If you have any questions let me know if you need any advice, I am happy to help! Thank you very much! I’ll do it! Wow this is so gorgeous! 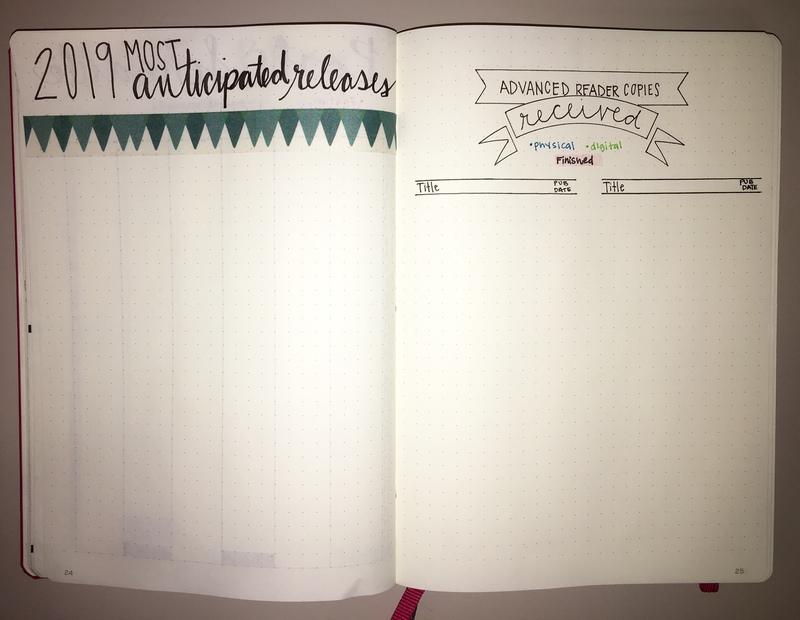 My own bullet journal is quite basic and not nearly as nice to look at 😅 I especially love your anticipated releases and ARC tracking pages!